Don't have dental insurance? Take advantage of our $99 new patient exam special. Includes a complete exam, x-rays and cleaning. Does not apply to patients who have dental insurance or need periodontal disease treatment. Choose a dental practice that will know you by name – and that has enjoyed a great local reputation for generations. Welcome to Amador Dental & Orthodontic, where we offer exceptional, multi-specialty dental care in a non-judgmental environment. Dentistry is our profession, but people are our focus. Our friendly staff looks forward to getting to know each of our patients on a personal level. We also offer Spanish speaking staff members! The first time you visit us at Amador Dental & Orthodontic, we will discuss your health history, past dental experiences, and any related anxieties you may have about dental care. To help us serve you best, we need to know what your expectations and needs are for treatment. Urgent concerns, like pain or a broken tooth, will be addressed immediately! Nervous about the dentist? Have a child with you? We provide tours of our office upon request to take the uncertainty out of your visit, as well as sedation dentistry options to make your visit relaxing. 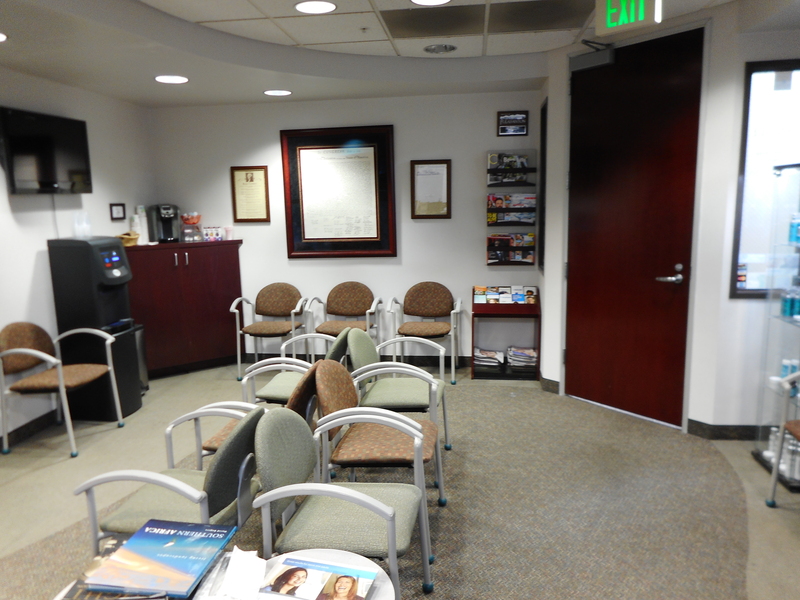 Please reserve approximately 90 minutes of your time for your first visit with us. First, we will take a set of x-rays to provide a comprehensive view of your entire mouth, including the roots of your teeth and your jawbones. Our fully digital x-rays instantly display your anatomy on a screen we can share with you to more fully include you in your care. A periodontal exam will follow to evaluate your gum health and to screen for gum recession. If your gums are healthy, we will continue with a preventive cleaning. We will carefully clean your teeth and polish them up so you leave feeling fresh and bright. One of our dentists will meet with you to determine whether you need any type of restorative dentistry treatment and discuss future treatment plan options with you. We offer a periodontist on staff, Dr. Rondon! If we determine on the day of your visit that your gums need to be healthier before your cleaning, we will perform a full debridement and schedule a deep cleaning for another day. After all, your gums are the foundation to your entire smile! Keeping them healthy is important to your overall wellness, cardiovascular system, and respiratory health. Give our Pleasanton office a call to schedule your family's dentist appointments today. Se habla Español.